Lee Sheeran (33): HMP Forest Bank - Assault of a woman in Wigan causing actual bodily harm, disclosed a private sexual photograph or film without consent with intent to cause distress to the person appearing in the film or photo: Jailed for three months, pay a surcharge to fund victim services of £115. 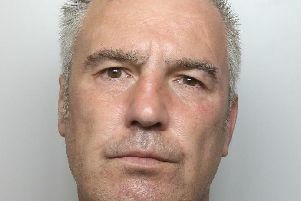 Christopher Brian Ashurst (30): Dell Avenue, Beech Hill - Possession of cocaine, drove without insurance, failed to provide a specimen of breath for analysis: Community order for 12 months with unpaid work requirement for 60 hours, pay a surcharge to fund victim services of £85, pay costs of £100 to the Crown Prosecution Service. Leanne Marie Heaton (39): Ash Close, Appley Bridge - Drink driving with 90 microgrammes of alcohol in 100 millilitres of breath: Community order for 12 months with unpaid work requirement for 60 hours, pay a surcharge to fund victim services of £85, pay costs of £85 to the Crown Prosecution Service, disqualified from driving for 24 months. David Paul Ramsdale (31): Pepper Lane, Standish - Drink driving with 86 microgrammes of alcohol in 100 millilitres of breath: Fined £460, pay a surcharge to fund victim services of £46, pay costs of £85 to the Crown Prosecution Service, disqualified from driving for 18 months. Jamie Anthony Robinson (28): Crompton House, Crompton Street, Wigan - Damaged a mobility scooter and door handle to the value of £250 belonging to Stephen Bennett: Discharged conditionally for 24 months, pay £250 compensation, pay a surcharge to fund victim services of £20, pay costs of £85 to the Crown Prosecution Service. 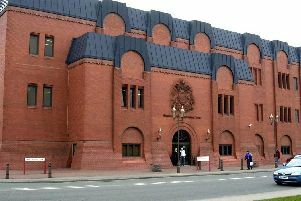 Marie Daryshire (39): Glebe Street, Leigh - Stole chicken to the value of £3 from McColl’s store in Hindley, possession of a knife at the store without reasonable excuse, various other shoplifting offences, committing an offence while a suspended sentence order was in place: Jailed for 14 months, pay a surcharge to fund victim services of £115. Sam Marron (25): Swan Lane, Wigan - Harassment of Lisa Palmer, damaged a door to the value of £150 belonging to Lisa Palmer: Community order with four-week curfew, restraining order not to contact Lisa Palmer, pay a surcharge to fund victim services of £115, pay costs of £85 to the Crown Prosecution Service. Joseph Thomas Melling (22): School Avenue, Whelley - Stole electrical items to the value of £483 belonging to Tesco stores, committed an offence while subject of a conditional discharge, failed to comply with supervision requirements following a release from custody: Supervision order to continue with 30 hours of unpaid work included, community order for 12 months with 80 hours of unpaid work, pay a surcharge to fund victim services of £85, pay costs of £100 to the Crown Prosecution Service. Michelle Janette Cooper (38): Kingsdown Road, Abram - Failed to ensure two of her children attended regularly at Cansfield High School: Community order for 12 months with rehabilitation activity requirement and 150 hours of unpaid work, pay a surcharge to fund victim services of £85. Natasha Prescott (31): No fixed abode - Drug driving with cocaine in the blood exceeding the specified limit, drove without insurance or a licence: Fined £120, pay a surcharge to fund victim services of £30, pay costs of £85 to the Crown Prosecution Service, disqualified from driving for three years. Annette Causey (32): Warrington Road, Abram - Drove at a speed exceeding 30mph in a speed restricted area on the A57 Liverpool Road at Warrington: Fined £40, pay a surcharge to fund victim services of £30, pay costs of £100, driving record endorsed with three penalty points.